Dance is one expensive enterprise! Tuition fees, shoes and clothes, extra workshops, private lessons, competition entries, costumes, physical therapy, transport, performance makeup, show tickets… the list goes on and on and on. Driving you to rehearsals and picking you up, several times a week – maybe even taking you to out of state competitions – your parent or guardian spends a lot of time driving around for you. So if they’re a little late picking you up from class one day, be nice! Remember that “no bun, no ballet” sign on the studio door of your first dance studio? Your mom – or dad – had to learn to do your hair every day for your ballet class. Just another thing to fit into their busy schedules. 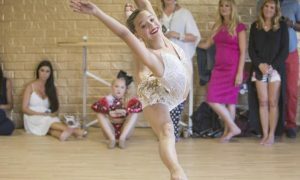 No doubt at some point your parents have been asked to participate in the making or adjusting of costumes for your dance recitals or competitions. Whether this meant sewing on sequins, adjusting straps or making a full tutu from scratch, these things did not magically happen on their own. Another thing that doesn’t sew itself is a pointe shoe. If you let your mom sew your ribbons on your pointe shoes – now is the time to take that job off her hands! If you’re old enough to be on pointe, you’re old enough to use a needle and thread – and it’s good practice for the hundreds of pairs you’ll have to sew as a professional dancer. 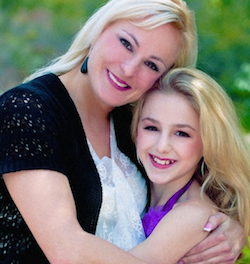 Christi and Chloe Lukasiak of reality TV show ‘Dance Moms’. Photo courtesy of Christi Lukasiak. Eating right is an essential component to being a strong and successful dancer, so make sure you thank your parents every time they make you breakfast, pack you lunch or have a delicious meal waiting for you when you finish class. After a frustrating class, a difficult rehearsal or a competition result that wasn’t what you’d hoped for, who is there for you, ready with a hug and a nutritious meal? Your dance mom or dad. Dance teaches you many things, including how to work hard towards your goals, but if you don’t have a good attitude to begin with, you’re not going to get very far. 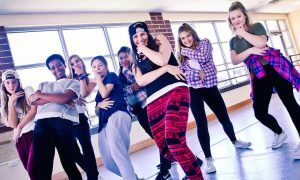 So thank your parents for raising you to be someone who is polite, has self-belief and is ready to give everything your best shot – all crucial components to becoming an amazing dancer. All the time… The money and energy your parent or guardian invests in your dance training has to come from somewhere. Of course, they do it because they love you and want the best for you, but take a moment to consider what they might be giving up in order for you to follow your dream – and let them know how grateful you are. Chances are your parents have photos of you on their mantlepieces, and proudly tell their friends and colleagues all about you and your dancing. Maybe that’s embarrassing sometimes, but guess what? They are your biggest fans, your ultimate cheerleaders, your pillars of strength and your endless pools of love. They’ll stand up for you and they’ll pick you up when you’re down. They’ll give you the energy to keep going when you feel like you want to give up. They’ll tell you you can do it when it feels like nobody else believes in you. Dancing should be the right of every human on the planet, but it is truly a privilege to be able to formally learn. Never take for granted what an incredible gift it is to be able to dance. Thank your parents today for allowing you to chase a dream that so many others are not fortunate enough to pursue!